Comprehensive and efficient enterprise data protection should not require substantial changes to your existing infrastructure. If you were to find that your company needed to deploy new operating systems (OSs) or make changes to database processes to implement a data protection strategy, it might be time to reconsider your strategy. This, the third and final article in the Essential Series: The Evolving Landscape of Enterprise Data Protection, discusses evaluation criteria for selecting an appropriate solution for your business. Before delving into detailed evaluation criteria, it is worth noting two overarching principles. First, enterprise data protection should not require changes to core components of the IT environment, such as OSs, databases, email systems, or storage hardware. A second principle is that data protection methods should seamlessly support changes to OSs, storage hardware, and so on. The business environment is already dynamic and subject to many influences; data protection should not add another driver to that dynamic situation. Together, these criteria help to distinguish data protection solutions that can function within the constraints of dynamic IT environments from those that introduce more constraints on that environment. Disk quality because failover devices, particularly with disaster recovery, may not of the same quality level. Under disaster recovery scenarios, the business may be able to tolerate lower performance; IT should not artificially introduce the need for higher‐quality disks in a disaster recovery center to support a limited backup application. In disk‐to‐disk data protection, the destination disks should be flexible in terms of manufacturer and quality. This kind of necessary flexibility extends beyond disks. As much as IT professionals try to leverage the benefits of standardization, it is not always possible to maintain a homogeneous environment. IT departments may have to support servers running a combination of Microsoft Windows and Linux OSs, for example. Even within these broad families of OSs, there are multiple versions and distributions that support a number of different file systems. Just as there are a variety of OSs found in midsized and large organizations, there is often a mix of databases. It is not unusual to find a combination of Oracle, Microsoft SQL Server, MySQL, and IBM DB2 running in the same business. Databases, though, present particular challenges because of the way they use files and write data blocks. 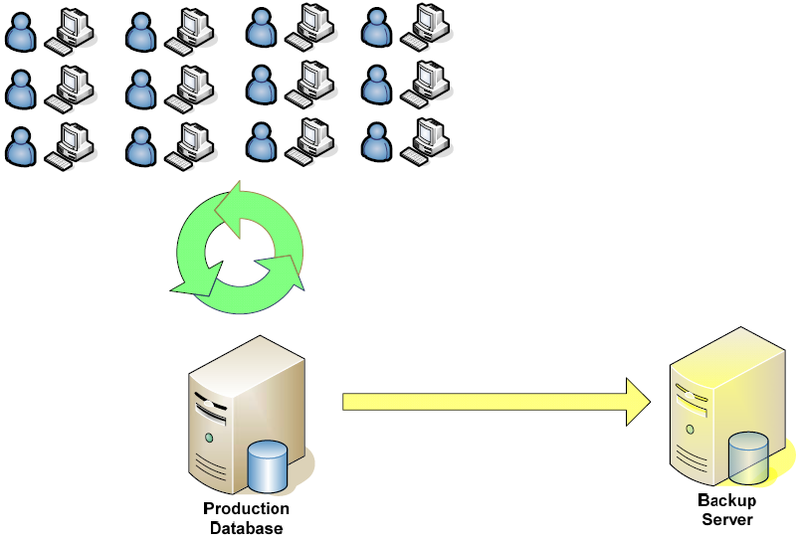 Figure 1: Database backups may have to be performed while users are actively updating the database. Such "hot backups" require special attention to transaction level details to ensure a consistent state of the database is captured. Databases are designed to provide logically consistent transactions. If you try to transfer funds from a savings account to a checking account and the system goes down before the transaction completes, during recovery, the database removes partially completed actions; you will never find the funds removed from your savings account but not added to your checking account. In a similar way, a backup should not represent a snapshot of a database in the middle of executing a transaction; it should represent a valid business state. Email servers are another application with idiosyncratic backup and restore requirements. Both databases and email servers are core service providers in the IT infrastructure. Data protection strategies should accommodate the way these systems function and should not require you to restrict their services in order to accommodate backup and recovery services. The requirements outlined earlier—such as the ability to deploy to different disk configurations, support different source servers, provide application‐specific support, and provide reporting and management features—are all technical evaluation criteria. The most commonly used measure of business value for technologies such as this is the return on investment (ROI). For all the technical features a data protection system may provide, the ultimate question that must be answered is: will it be worth the investment? To answer that question, you must take into the account the initial product cost and the time and resources required to install and configure the system. Perhaps more importantly, though, you must consider the additional costs or savings that may be realized during the life of the product deployment. The ROI is closely tied to the technical criteria outlined earlier. In the case of enterprise data protection, what is good by IT professionals' standards is good for the bottom line. Although no two businesses or organizations are exactly the same, shared patterns and practices are common. The best data protection solutions recognize and accommodate those common requirements.